Thorne Crest parent company ABHM is partnering with senior living technology provider Eversound to bring wireless headphone system into all of our communities across six states. This new technology is a headphone system that enables our residents to enjoy a level of hearing they may not have had in years. Click here for a complete news story on this exciting new technology. 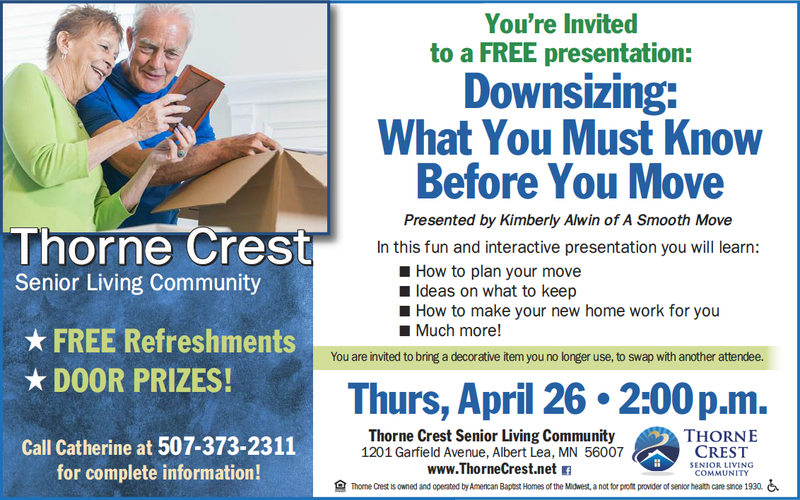 Thorne Crest Senior Living Community will be holding a free presentation by Kimberly Alwin, owner of A Smooth Move, on Thursday, April 26 at 2pm, at the community. The presentation, titled “Rightsizing: What You Must Know Before You Move,” will be a fun and interactive presentation that tackles how to plan for a move and “Rightsize” your precious belongings. Thorne Crest Senior Living Community has been named amongst the “Best Nursing Homes in the Nation” by U.S. News and World Report, “Large Business of the Year” by the Albert Lea-Freeborn County Chamber of Commerce, and given a 5-Star-Rating from the government-based Center for Medicare and Medicaid. Thorne Crest is excited to announce the opening of our NEW Memory Care wing to enhance the services available to residents, families and the seniors in the Albert Lea area. 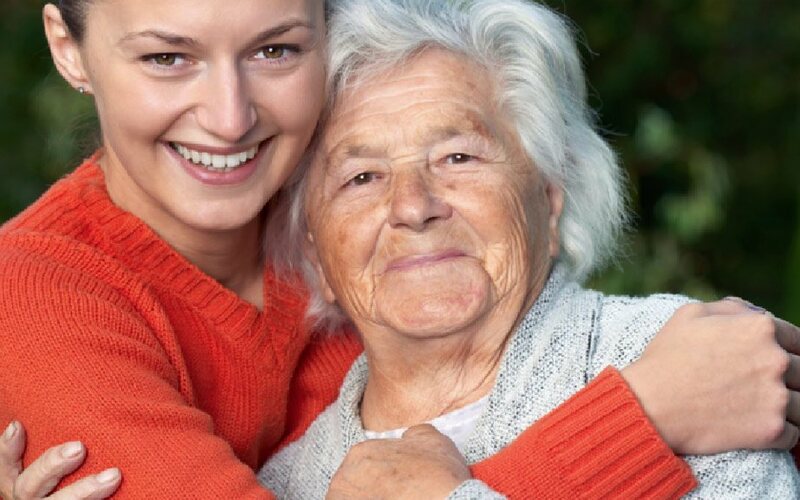 Sue Callahan, Thorne Crest human resources director, wrote this guest column on compassion in long term care for the Albert Lea Tribune. Thorne Crest’s Health Center has been given a 5-Star rating by the Center for Medicaid and Medicare Services (CMS.gov). Thorne Crest is proud to welcome Chris Schulz as the new Administrator. The Thorne Crest Health Center has received a 5-Star Rating by the Center for Medicaid and Medicare Services (CMS.gov). In addition, the Health Center has received an “Excellence In Action” Award by National Research Corporation.